Gigi Hadid and toy soldiers; she designed their uniforms. Photo credit: Rony Alwin. To mark the return of the iconic FAO Schwarz toy emporium to NYC in the form of a new 2.5-story, 20,000-square-foot-plus flagship at 30 Rockefeller Plaza, the store hosted a celebrity-studded VIP preview Thursday night ahead of Friday’s opening. Guests included Neil Patrick Harris and David Burtka, Whoopi Goldberg, Bethenny Frankel, Morena Baccarin, Carrie Berk, and Disney’s Mia Sinclair Jenness. Doors opened today at 10:30 a.m., kicked off with a ribbon-cutting ceremony. With a nod to the brand’s magical history as part of New York City lore, the new store uses the Art Deco architecture of its new home to amplify memories of FAO experiences from years past; a look toward the future begins with FAO Schwarz toy soldiers flanking the store’s 49th street entrance sporting new uniforms designed by supermodel Gigi Hadid. When Frederick August Otto Schwarz immigrated to Baltimore from Germany in 1856, he dreamed of opening “a magical toy emporium that featured extraordinary, one-of-a-kind toys from all over the world, while creating a theatrical experience to showcase merchandise in a way that would bring it to life.” Six years later, he and his two older brothers opened “Toy Bazaar,” a small fancy-goods store that sold stationary and toys. 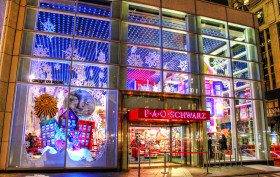 150 years later, their store, having long since moved to New York City and been renamed FAO Schwarz, would be known around the world and crowned the oldest toy store in the United States. But all that changed last week, when the toy wonderland closed its famous Fifth Avenue doors for good. Its current owner, Toys “R” Us, cited rising rents as the reason for the departure, but tried to assure the public that they’d find a new location (they reportedly checked out a space in Times Square). 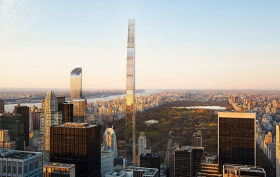 For many of us, though, a different address–perhaps one without the giant floor piano that was immortalized in the 1988 Tom Hanks movie “Big”–will be a huge blow to our childhood nostalgia. 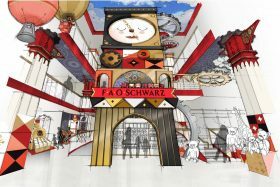 So, while the fate of FAO Schwarz is still up in the air, let’s take a trip down memory lane.